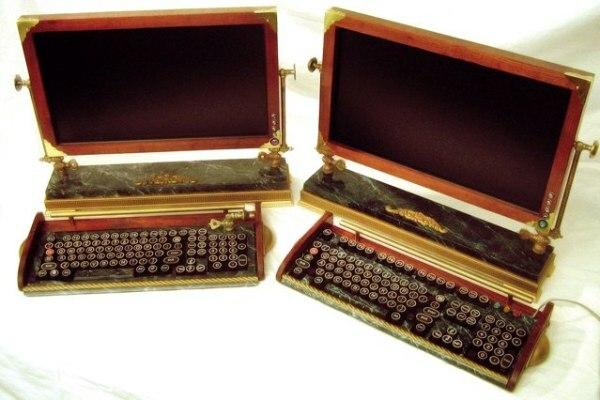 Wouldn't it be fun to surf the web with one of these retro-fitted Victorian style computers by Old Time Computer? I'm mesmerized by them! 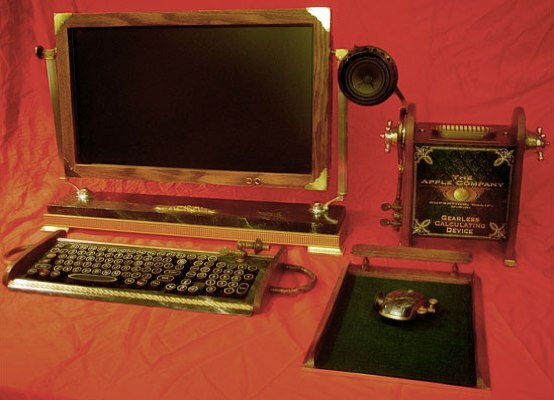 The ultra modern joins with medieval times to give your computer a Victorian look with these custom pieces. 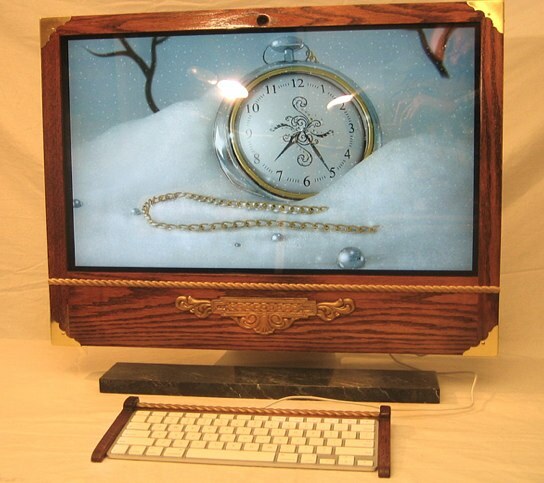 Take for instance an Apple iMac Oak Custom Cover. Just slip on your computer and you walla! A beautiful hand built wood desktop. 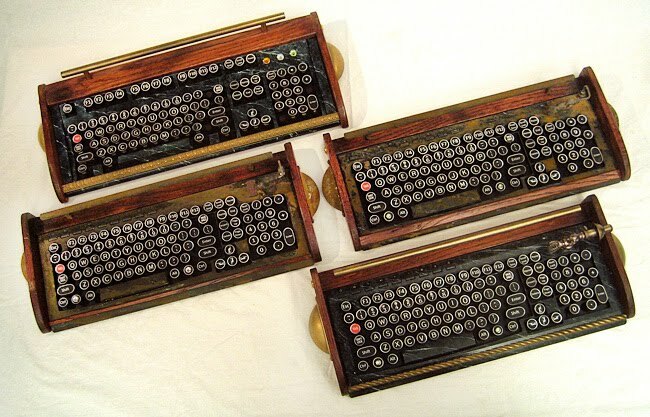 And these custom-made keyboards that look like old typewriters. So steampunk. I love the juxtaposition of the "old world" and today’s modern conveniences. 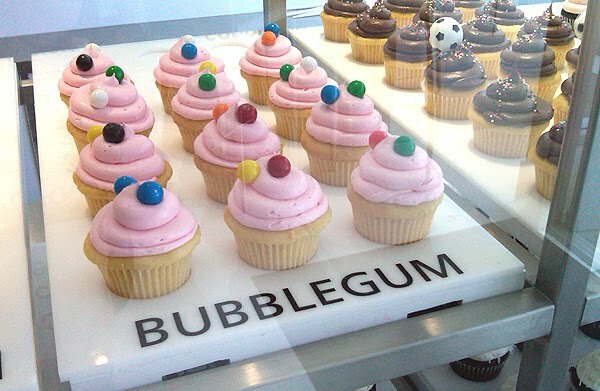 So sleek to have one of these on your desk, don't you think? 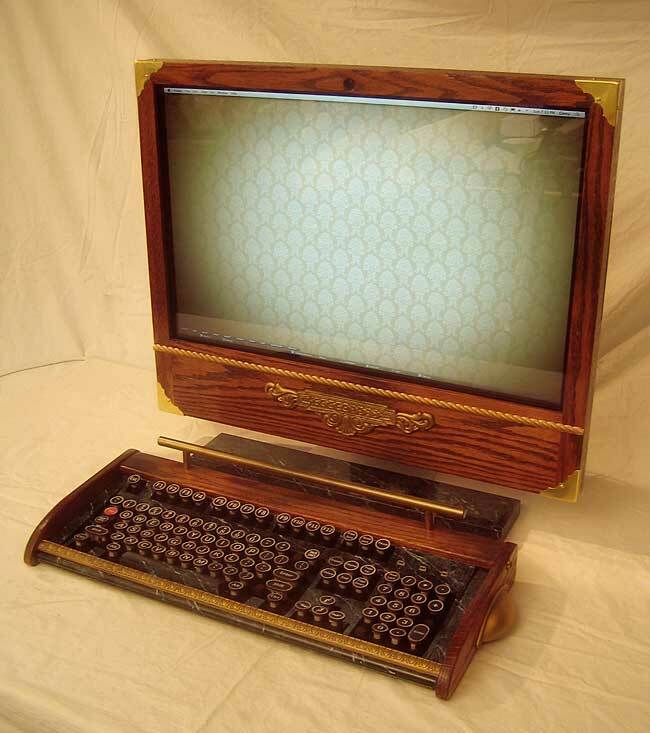 You can view all of Old Time Computer designs here. They even have iPhone and iPad holders! how far out is that!? Love it!